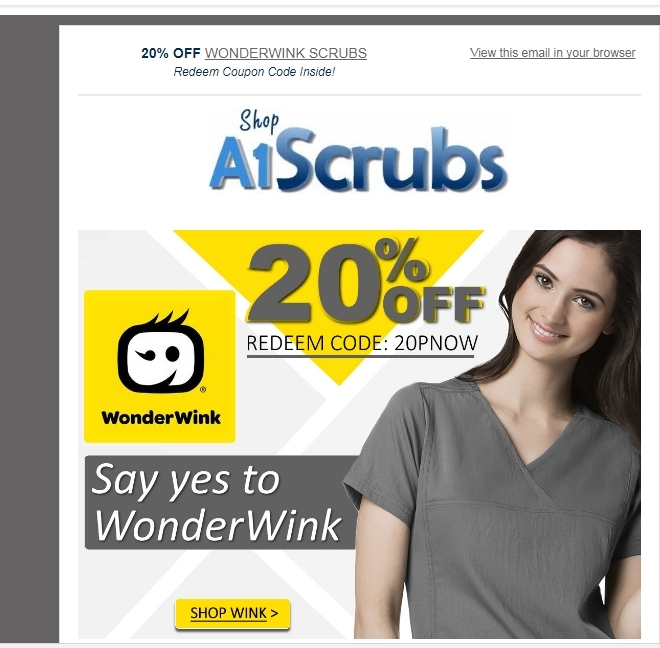 christian madrid just enter the promo code 20PNOW and get 20% off on wonderwink. 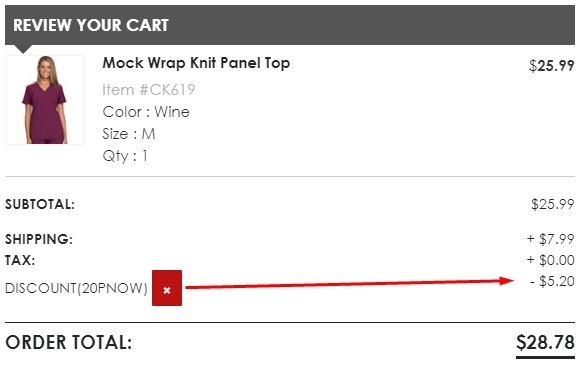 Offer applies to select items only. see store for details. Karla nuñez I'm validating that this deal is active and works as described. NESTOR NUÑEZ I am validating that this deal works as described. 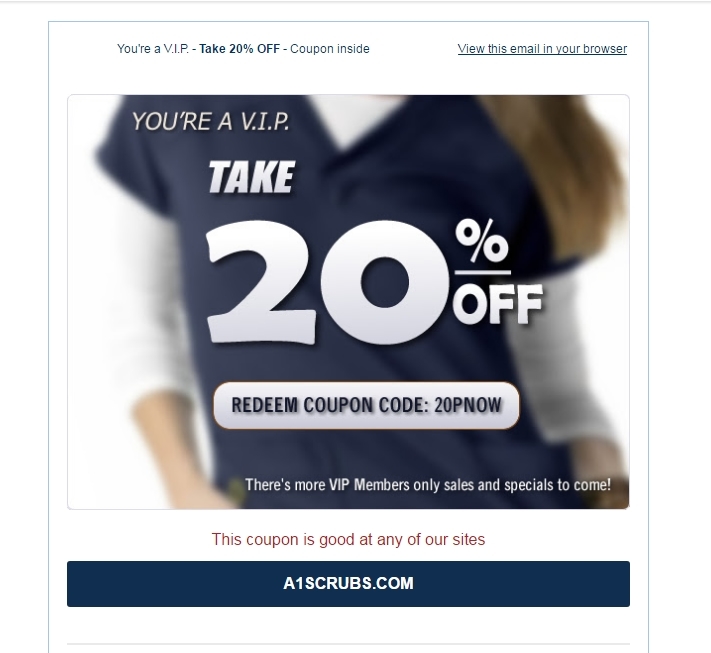 Just enter the code at checkout to get 20% Off Your First Purchase at A1 Scrubs. 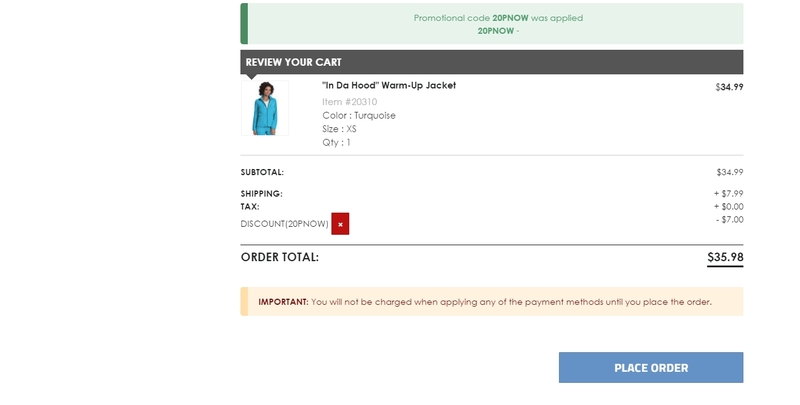 Laura DeLuca NOT VALID ON ALREADY MARKED DOWN ITEMS. CANNOT BE COMBINED WITH OTHER OFFERS. 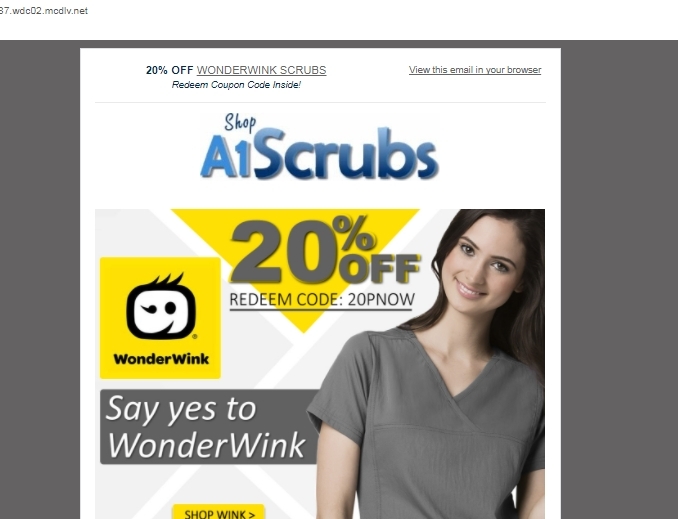 Just enter the code at checkout.